I’m a fat housewife with a passion for horses, art, and literature. I have no formal education in any of the three, and I love to ramble. I write as well, novels and fan fiction both. 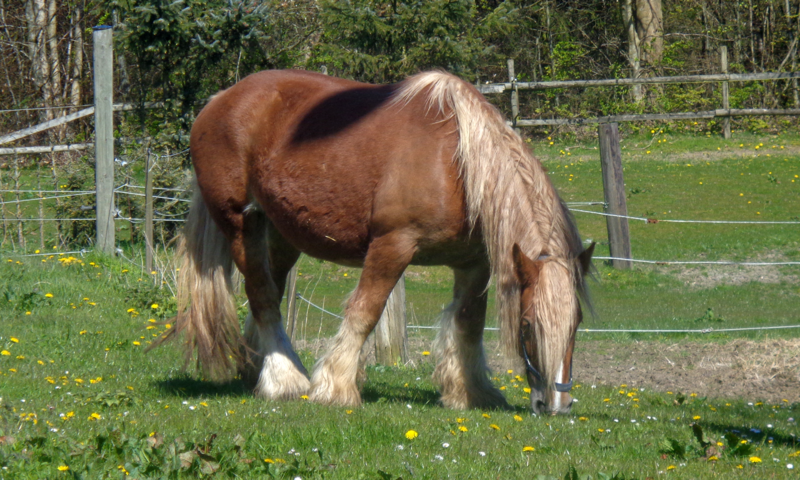 Logan was a retired riding school draft horse whom we were completely in love with, and wanted to give a good retirement. He died in April 2015. Pilar was a Friesian mare born 2009 and bought by us in May 2015. She died in January 2017 from a birth defect. Emilie is a Jutland draft mare born 2012 and bought by us in January 2017. Logan and Pilar are both very fondly remembered and missed to hell and back. Pony Sez is my attempt at a semi-regular web cartoon about the things horses have taught me over the years. I read your story of Jareth and Sarah. I am Lylabeth 1. My grand is Lylabeth, eight. I am a former horse breeder and live on farm with three now empty barns. My email is short for Remember Winning with Colors. Colors was a golden palomino with a heart of gold that belonged to my trainer. He was also twice PHBA world champion color horse and halter champion, 1996. Those days are long flown. I am also a chubby house wife, former jeweler store owner, and scholar of Irish Myth. And back trouble sufferer so I can feel you’re pain, all due to broken neck from snow sking at 28. How I met Jim Fitzpatrick, who I talk to at least several times a week per Facebook, is story for another day. He’s quit a character. Using the ” love talker” legend is quit good idea, though I think of him more like Q.
I love Second Generation Star Trek and was a student of Jon Luc, himself, at the Royal Shakespeare Institute in Straford when I was young and studying Shakespeare. He was unknown in this country then. And great fun!! Yes, actually! Birgitte Heuschkel is the name. Shouldn’t be a lot of us with that name around so I should be findable!